Today when I booted up my computer, the rescue world was awash with the news that the notorious DBO (dogsbite dot org) and PETA had joined forces. Why is this such alarming news? Let me explain. DBO run by the infamous Colleen Lynn, is an organization bent on eradicating pit bulls from society. They do so by making up their own bite statistics that support their bogus theory that all pit bulls are born vicious. Along with the equally infamous Merrit Clifton, DBO skews the numbers to support their bogus theories. Pit bull advocates have been fighting to control the damage done by Colleen Lynn and her DBO nutters for years. 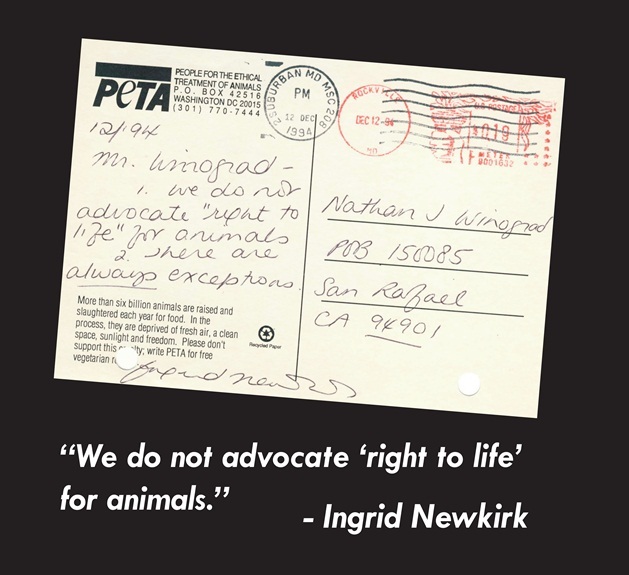 Nathan Winograd, the father of the NO KILL movement has been fighting against Newkirk and her PETA scam artists for years. Now these two fraudulent groups have joined up and are reportedly working together against pit bulls, and animal rescuers in general. So what’s the next step for true animal advocacy groups? The answer is simple, advocacy groups need to swallow their pride and work together to combat the damage done by PETA and the DBO. The time has come for advocates to band together to eradicate PETA and DBO. For far too long animal advocacy has been reduced to a number of small groups who do things their own way and won’t work with other groups who do things differently. It is time we all realized we are working towards the same goals, and that those goals have some pretty serious enemy factions working against them. If we are to change the course of rescue, we must be willing to put aside those differences and work together to let the world know that these two organizations are not what they make themselves out to be. While those who work in legitimate rescue are aware of the lies and the underhanded tactics used by PETA and the DBO, the average citizen is not. It is up to us to make them aware. I urge all animal bloggers and rescue workers to blog about this, do some research, learn about what PETA and the DBO have done to pull the wool over the eyes of the general public, spread the word that these organizations are not what they seem and can not be trusted. Make it known that you believe in NO KILL, you believe in rescue, and you DON’T believe all the pit bull hype. We need to put an end to the PETA/DBO propaganda machine. People need to learn the truth. Speak out! Be a voice for change!